This section of the 1st Choice Real Estate website is for our favorite websites, links, partners and other websites we feel are worth visiting. If you have a website that has related content to 1st Choice Real Estate or would like to be considered in this section please use our link to us form. Everything you need to scale the wilderness of Big Stone Lake State Park, fifteen minutes from Milbank. "At Buffalo Ridge Resort & Business Center, you’ll discover an amazing blend of past and present with contemporary western allure. 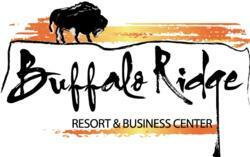 Uniquely charming, Buffalo Ridge Resort and Business Center is perfect for business or leisure. Whether your time is spent in the historical Herrick Hotel, at the Talking Waters Campground or at the Rock Room Bar and Grill, you'll be sure to enjoy yourself as Buffalo Ridge is constantly adapting to your wishes and needs." "Dakota Granite (TM) is internationally known and respected in the stone industry for superior craftsmanship, technological leadership and high quality control standards. After nearly 90 years of quarrying and fabricating memorials, Dakota Granite has carved out an unwavering reputation for excellence." Founded in 1880 when the Chicago, Milwaukee and St. Paul Railroad first laid track in South Dakota, Milbank was named after railroad director Jeremiah Milbank. The city was incorporated in 1894 and is governed by a Mayor and Council. A division of Avera McKennan. "Newly remodeled, and affordable. This is the place to stay when touring the Milbank Location, attending our sporting events, or need lodging for our local Farley Fest concert!" An overview of the activities, academics, and athletics offered by Milbank's public schools. Pine Hills Golf Course is an 18-hole course with 10,000 square foot greens. The course offers leagues and hosts clinics, along with being available to rent for your special events. Relax – ponder the moment and picture the elegant home you might create amid the beautiful hills of Timber Ridge – a country setting far from the frantic pace of the local village. From your stone porch, you greet the morning, cappuccino in hand, as the sun ignites the tapestry of colorful activity below. A single horse and rider discover green pastures before them. An older couple walks hand-in-hand through the nearby majestic oak treed ravines as a number of boaters bring welcomed activity to a quiet lake. It’s a treasured lifestyle that focuses on the simple things in life. Simple…yet elegant. 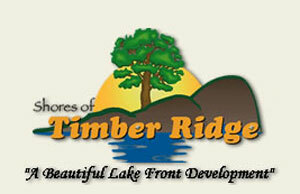 This simple, yet elegant lifestyle is exactly what’s being realized in the hills above Big Stone Lake, the premier private community of the Shores of Timber Ridge. 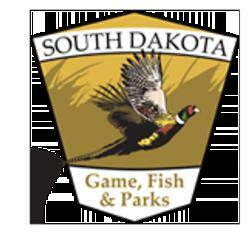 Information and news regarding South Dakota's hunting, fishing, parks, wildlife, and outdoor education courses. Where to stay and what to do in northeastern South Dakota. Offering gym, pool, and raquetball facilities, along with exercise classes throughout the year. Valley Queen Cheese is a regional leader in cheese production, consistently recognized nationally for its development and quality.